It went off with a bang at the 2014 One Eye Film Festival. Check out the photos on Facebook. Kandy the film is an adaptation of the 10-minute short play, Candy, written by Kellie Jennar, who also wrote the adaptation. 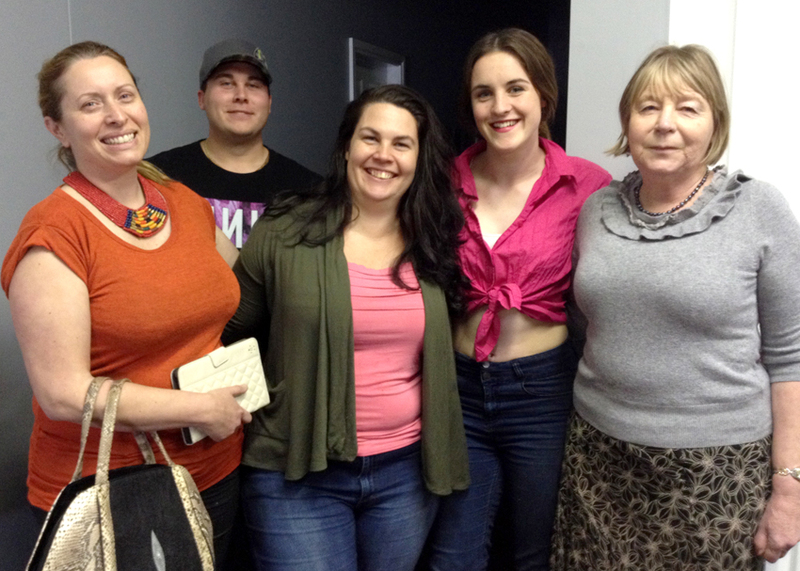 The play was performed as part of Dubbo Shorts in May 2014, going on to be awarded the Playwright Encouragement Award at Crash Test Drama in June 2014. The film is being produced by the Dubbo Filmmakers Group, to be screened at the One Eye Film Festival on 14 November 2014 at the Western Plains Cultural Centre. Read the blog to see what’s been happening behind the scenes. Kandy, tries to educate two older ladies, Violet and Valerie, about the world of on-line dating. She may as well be speaking a foreign language, as Valerie and Violet struggle to understand or agree with her. The relationship between the female characters evolves in the process of unmasking Kandy’s duplicitous and arrogant boyfriend, T-Bone. 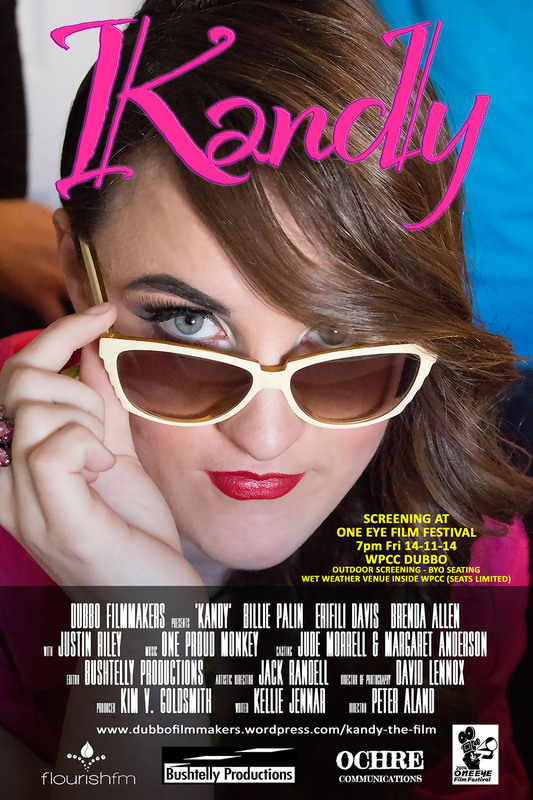 Kandy (Billie Palin) is 21-year-old beauty, who grudgingly teaches an online dating class, just counting the days until her boyfriend T-Bone proposes. Out and about, Kandy is a wannabe Kim Kardashian, but when home alone, Kandy loves nothing more than getting in her PJs and watching Bridget Jones’ Diary. Valerie (Brenda Allen) has been a widow for 10 years and happily lives with her family of cats. Valerie has little time for today’s youth and their ill-mannered ways, but deep down she is a soft touch with a heart of gold. Violet (Erifili Davis) is a 50-year-old going on 40. After her husband left a year ago, Violet got a new look, a new wardrobe and is now looking for a new man. When T-Bone (Justin Riley) isn’t doing laps of the main street in his customised V8 Commodore, you can find him at the gym pumping iron and admiring his reflection. INTERESTED IN SUPPORTING THIS 100% DUBBO PRODUCTION?